Men who suffer from gynecomastia can typically be comforted by the fact that male breast reduction surgery has permanent results. Since the procedure physically removes the enlarged breast tissue for affected males, it clearly should lead to permanent results—and it does most of the time. 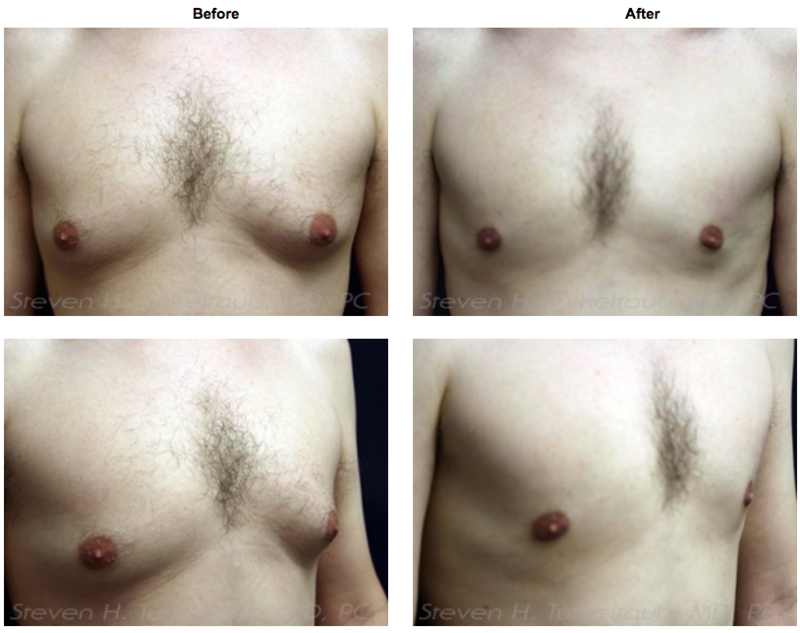 Unfortunately, some men struggle with recurrent gynecomastia. Thankfully, there is a definitive reason for this problem: it stems from a failure to identify and treat the actual cause of the individual’s gynecomastia. When the cause of a male’s gynecomastia is adequately addressed, gynecomastia will no longer recur, and the results of the surgery will indeed be long lasting. What Is the Cause of Your Gynecomastia? Like other medical conditions, which have many possible causes, identifying the exact cause of gynecomastia can be a challenge. For some men, there may be multiple causes. For instance, a man may use marijuana, be overweight AND have hormonal imbalances, and all of these may be causing his breast tissue to enlarge. For other men, some factors that may seem responsible are not the real cause. As an example, a man may be obese, but his male breast enlargement could be due to an unrelated medical condition. Doctors and patients must work together to identify what the true cause might be and discuss all treatment options before electing to undergo surgery. Some men who have gynecomastia may assume that because the surgery permanently removes breast tissue, all they need to do is get a male breast reduction and their gynecomastia will go away. The issue with this is that certain medications, other health conditions, hormones, and other causes of gynecomastia can continue to cause breast enlargement even after gynecomastia surgery. Consequently, they must be addressed in order to minimize the risks of recurrence of gynecomastia. Dr. Turkeltaub, your primary care physician, and an endocrinologist can help you identify the cause of your gynecomastia before you undergo male breast reduction surgery. Knowing the cause of your gynecomastia will make it possible to devise a personalized treatment plan, which may include aspects like losing weight, changing medications, or getting hormone treatments in addition to gynecomastia surgery. Taking a thorough approach to gynecomastia treatment will help to ensure long-lasting results and save you from recurrent gynecomastia. With the right treatment plan for you, your gynecomastia surgery will give you the results you desire and help you maintain a more masculine appearing chest shape.